Faculty who are charged with adapting their on-campus courses for online delivery face multiple challenges due to their lack of experience with online course design, online interactions, and online technologies. This paper describes the analysis stage of the instructional design model used for online course development in a large university in the United States. Instructor self-assessment, on-campus course analysis, classroom observations of on-campus courses and initial meetings with instructional designers were used to determine faculty preparedness for teaching online and course characteristics before online course design and delivery were initiated. Kumar, S. (2008). Online Course Development – Where do we start?. In J. Luca & E. Weippl (Eds. ), Proceedings of ED-MEDIA 2008--World Conference on Educational Multimedia, Hypermedia & Telecommunications (pp. 3440-3444). Vienna, Austria: Association for the Advancement of Computing in Education (AACE). Retrieved April 23, 2019 from https://www.learntechlib.org/primary/p/28861/. Floyd, D.L. (2003) Distance learning in community colleges: Leadership challenges for change and development. Community College Journal of Research and Practice, 27(4), 337-347. Hanna, D.E., Glowacki-Dudka, M. & Conceicao-Runlee, S. (2000). 147 practical tips for teaching online groups: essentials of web-based education. Madison, WI: Atwood Publishing. Levy, S. (2003). Six factors to consider when planning online distance learning programs in higher education. Online Journal of Distance Learning Administration, 6(1). Retrieved April 1, 2008, from http://www.westga.edu/~distance/ojdla/spring61/levy61.htm.RockwellK.,Schauer,J.,Fritz,S.,&Marx,D.(2000).Facultyeducation,assistanceandsupportneededtodelivereducationviadistance.TheOnlineJournalofDistanceLearningAdministration,3(2).RetrievedApril1,2008,fromhttp://www.westga.edu/~distance/rockwell32.html. Ronnkvist, A., Dexter, S., & Anderson, R. (2000). Technology Support: Its depth, breadth, and impact in America’s schools (Teaching, Learning, and Computing: N1998 National Survey, Report #5). Irvine, CA: Center for Research on Information Technology and Organizations. Salter, D., Richards, L.G. & Carey, T. (2004). The 'T5' design model: An instructional model and learning environment to support the integration of online and campus based courses. 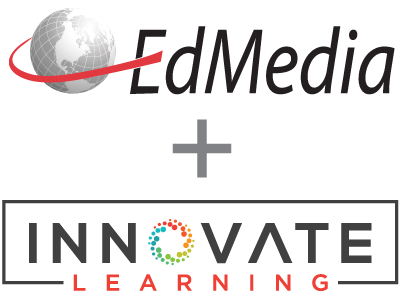 Educational Media International. Seels, B., & Glasgow, Z. (1998). Making Instructional Design Decisions. Upper Saddle River, NJ: Merrill.